Best Served Cold - Publisher, book packager and consultancy firm. Publisher, book packager and consultancy firm. Journalist Roy Faulkner is the prime suspect in a murder inquiry when Kate Williams, the fellow journalist he accompanied to a night club appeared to disappear from the face of the earth. Worse still, he finds the detective who is investigating the case harbours a long-standing grudge against him dating back to their teenage years in a rock band. As evidence piles up against Roy, he is charged with the murder of Kate. Private investigator Philip Rivers faces a battle against time to find out what really happened before Roy is found guilty. RICHARD GARNER has been a journalist for over forty years – writing for the TES, the Mirror, the Independent and the TES about education. He is the author of The Thirty Years War, a book about teacher reform, but he has always wanted to break out of his mould and write thrillers. 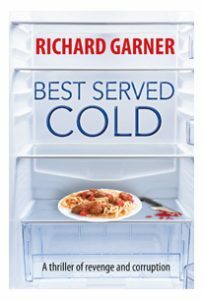 Best Served Cold is his debut crime novel. Top thriller by skilled educational journalist. Publisher, book packager and consultancy firm. © 2019 All Rights Reserved.